First, I want to say that I had a lot of trouble picking out a shade. There are 12 shades all together, but there's not a great selection in the lighter skin tones in my opinion. I'm never the absolute lightest shade, but I usually fall somewhere between the second and third lightest. 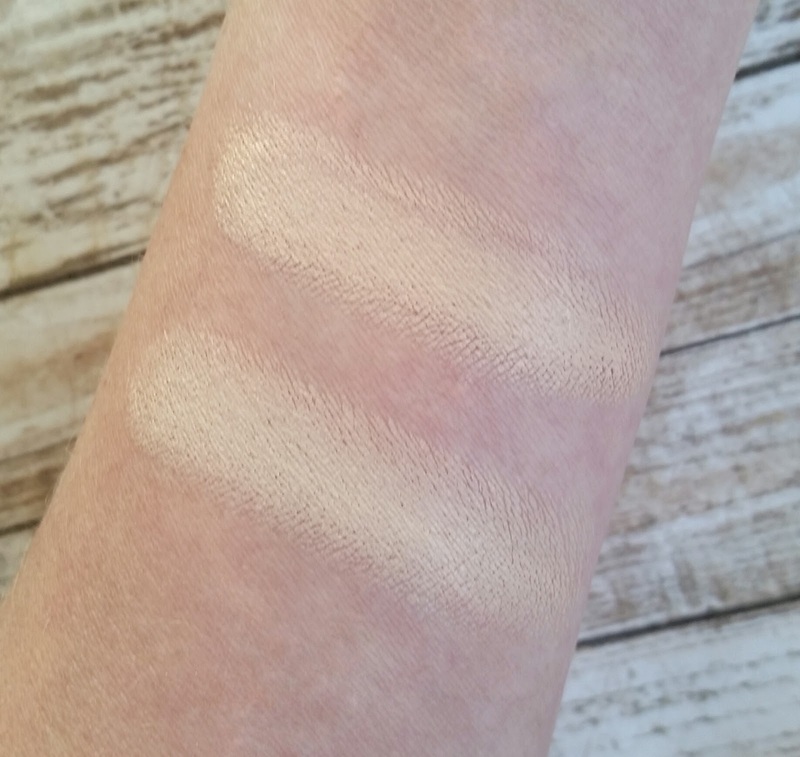 In this range the lightest shade, Ivory, looked similar to my skintone and it was also very pink in color (and I do have pink undertones) but I hesitated to buy the lightest shade because I didn't want to get home and end up looking too pale. Still, I ended up going with Ivory because the second-to-lightest shade looked medium to me and very warm-toned...way too dark. 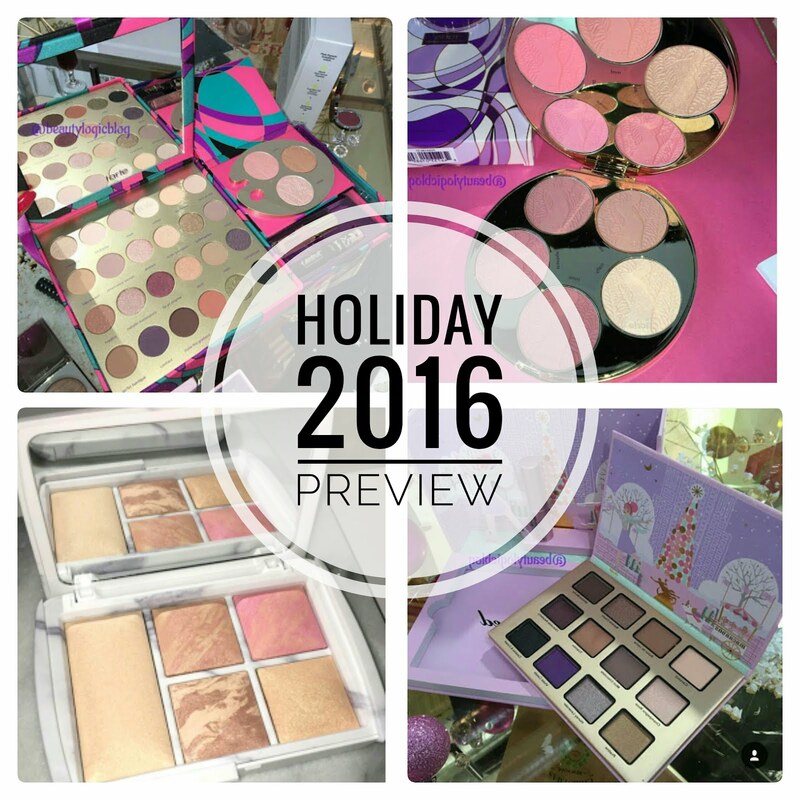 It's like they skipped all of the light-to-medium shades. Inside the compact, I was surprised that there are three different layers. 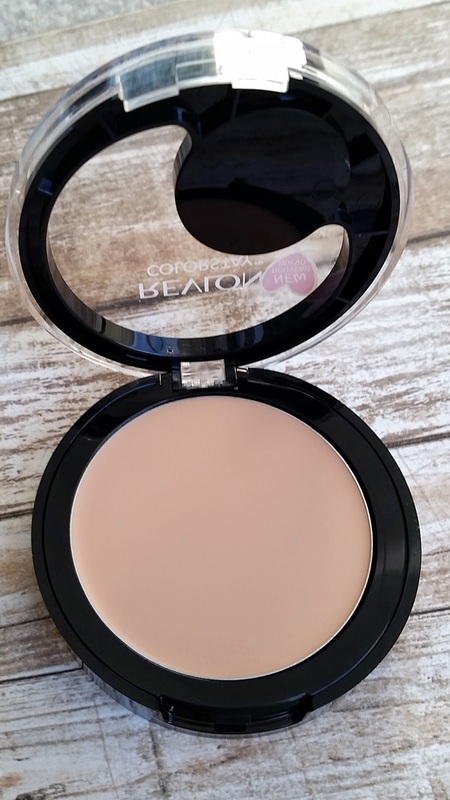 It was a relief because I thought that the concealer part would take up a section of the foundation, but it flips up and out of the way so you have the entire pan of foundation to work with. The top layer has a small pot of concealer that's a shade or so lighter than the foundation. Then that flips up to reveal the second layer, which is the cream foundation. The third layer contains a mirror and a sponge applicator. I did try applying this foundation with the sponge and it ended up being my least favorite application method. I preferred using a Beauty Blender or a brush but the sponge will do in a pinch if you have to touch up on the go. When I actually started using this, I realized that it's actually quite a bit lighter than it looks in the compact...aha! Ivory ended up being a really light shade, maybe a little too light for me, but not terrible. Still, I wanted to point this out so you can keep this in mind when picking out a shade. I swatched these on the underside of my arm which is a little lighter than my face. The foundation is the top swatch, and the concealer (which is lighter) is on the bottom. I was pleasantly surprised by the texture of the foundation! 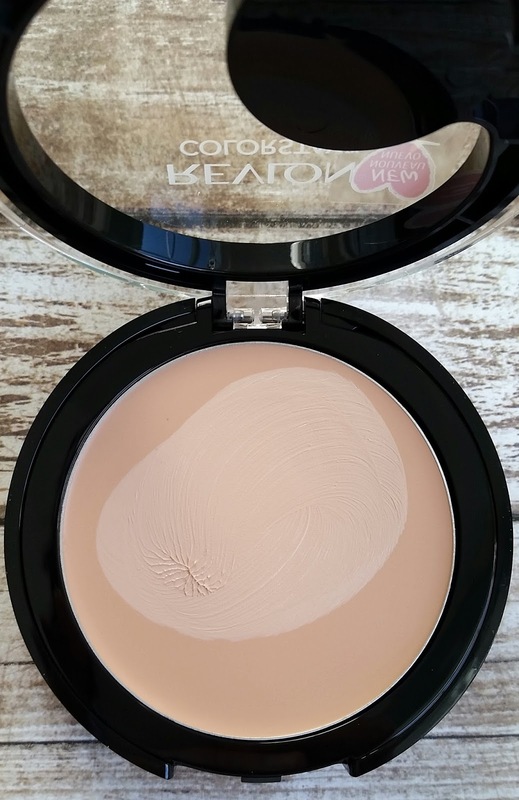 It feels lightweight, not sticky or heavy like a lot of cream foundations are. 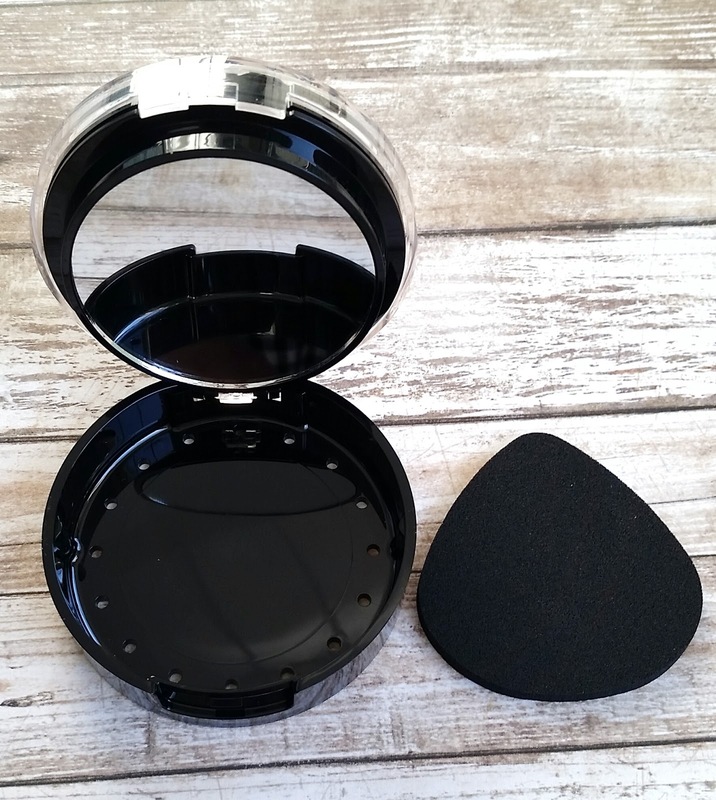 A brush or Beauty Blender picks it up so easily and you only need a little bit to get totally full coverage. Buffing it on with either one of those tools gives a lovely satin to semi-matte finish. I didn't need to build it up at all because one thin layer evened out my skin beautifully. I haven't tried a formula like this before, and there's definitely nothing like it at the drugstore. The concealer, on the other hand was a little bit of a disappointment. It's thicker than the foundation but doesn't cover nearly as well. It failed to hide the little bit of darkness I have under my eyes, so it only gives light to medium coverage. I didn't want to try and build it up at all because of the thicker texture...I figured it would just start to look cakey. But in the end, as much as I love the feel and coverage of the foundation, I won't be continuing to use it and here's why- this stuff clings to every dry patch I have (and I have a lot of them). It didn't do this immediately though and it's not super obvious. At first I thought my face looked flawless in the mirror, but then I got in the car to go somewhere and checked it in natural light. 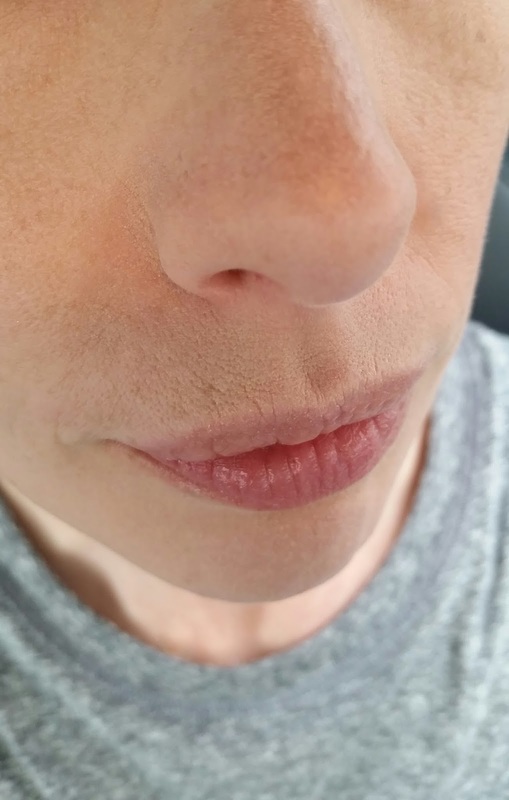 This photo is the best way I can show you what it does....look at the spot between my nose and lips...it looks all dried out and the foundation settles into my skin in such a way that it accentuates lip lines that I normally can't even see. It looks cakey on the side and top of my nose as well. 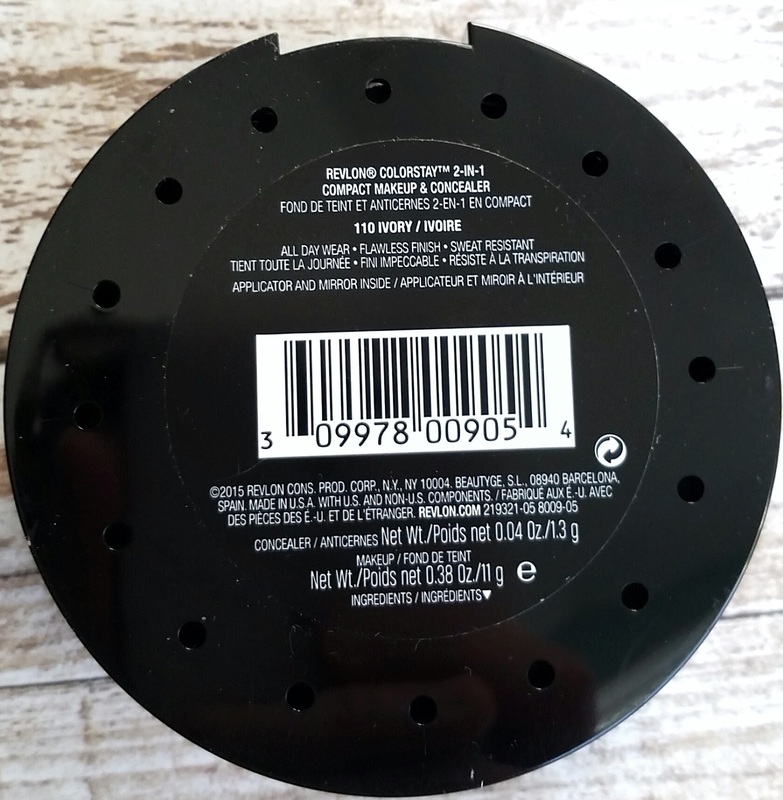 I tried using this without primer and with a few different primers and the end result was always the same. I always heavily moisturize so my face didn't actually feel dry...this just seems to bring that out. I should mention that it had great staying power on me...it lasted all day without needing a touch-up. But then again, my dry skin grabs onto everything and doesn't let go so I can't say how long it might last it you're oily. 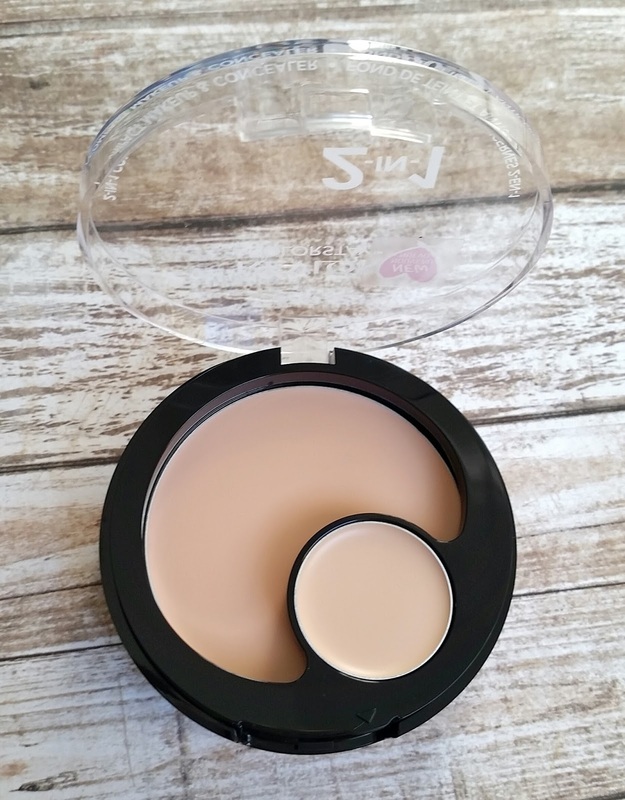 Overall, I'm disappointed because I was so excited to find a full coverage formula in a travel-friendly compact that actually feels lightweight on my skin. 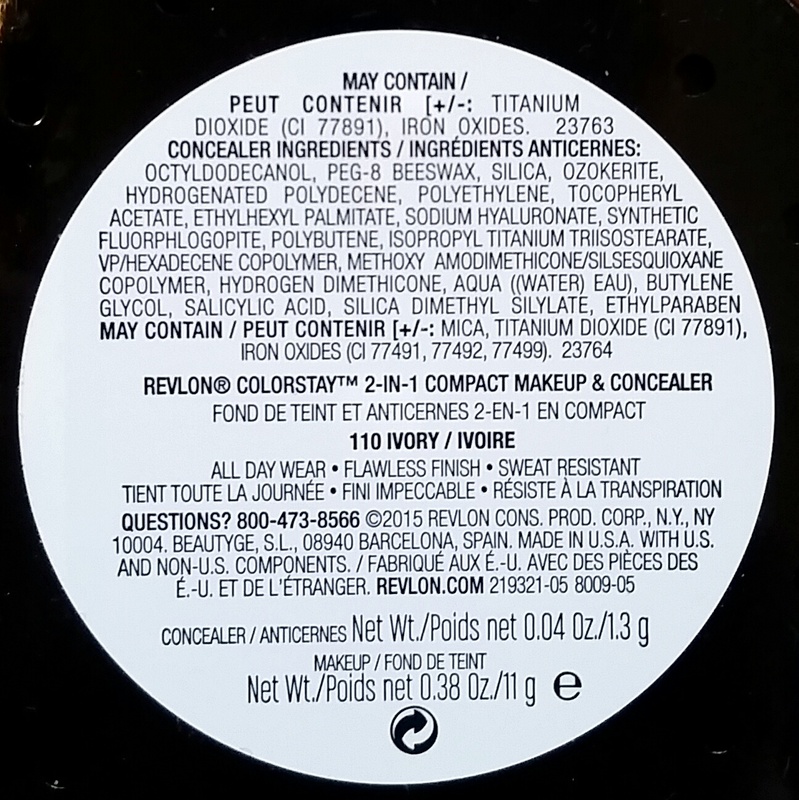 I think that normal to oily skin types may have better luck with this, as it is a beautiful formula...it just didn't work well on my dry skin. Bummer! 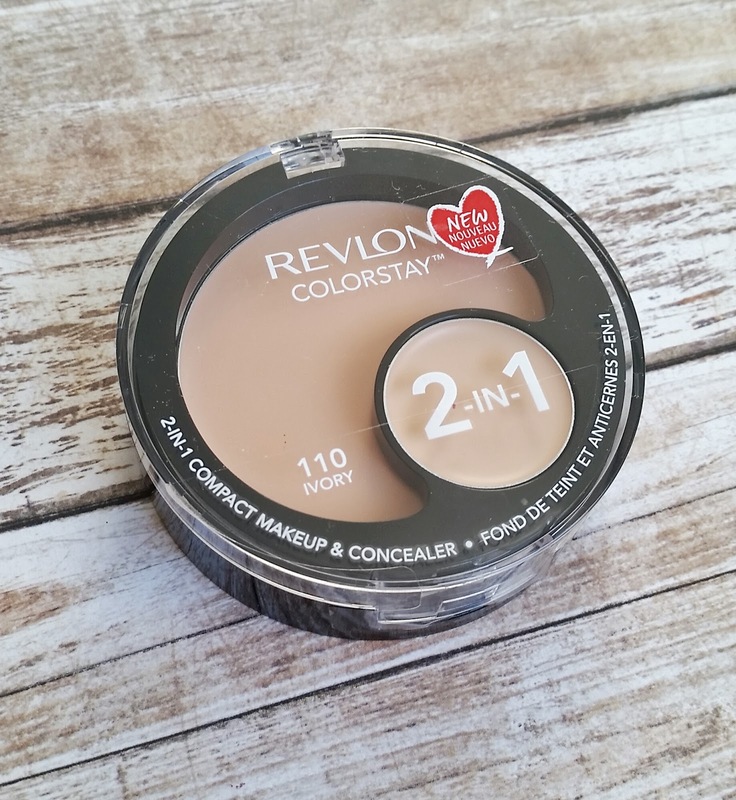 You can find Revlon Colorstay 2-in-1 Compact Makeup & Concealer at Bed, Bath & Beyond now, and at drugstores soon. I agree completely...they need testers or samples at the drugstore and then people wouldn't have a reason to return products. 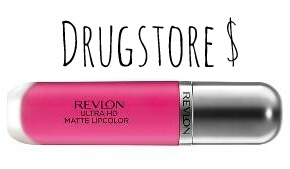 I'm the same way though, I rarely go through the trouble of returning at the drugstore. 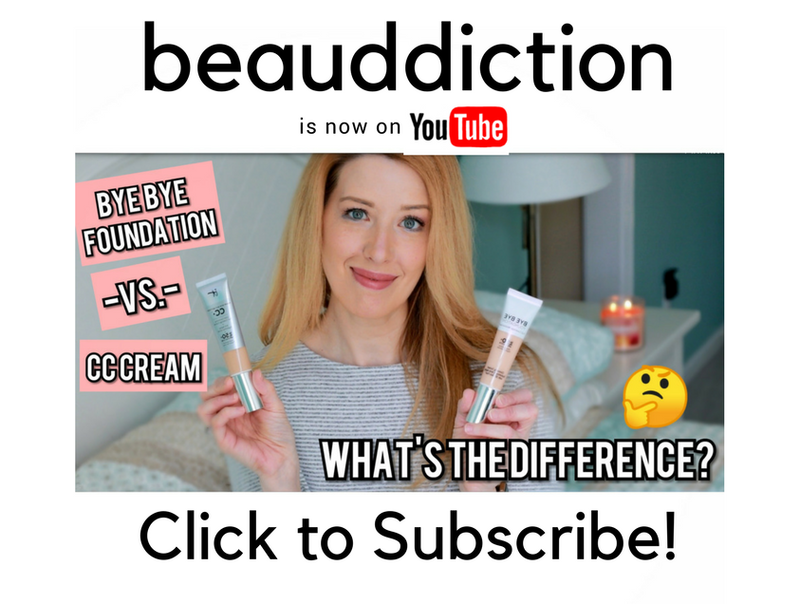 I'm really bummed about this one because I love the texture and formula more than any compact foundation...it's just not for dry skin, sigh. 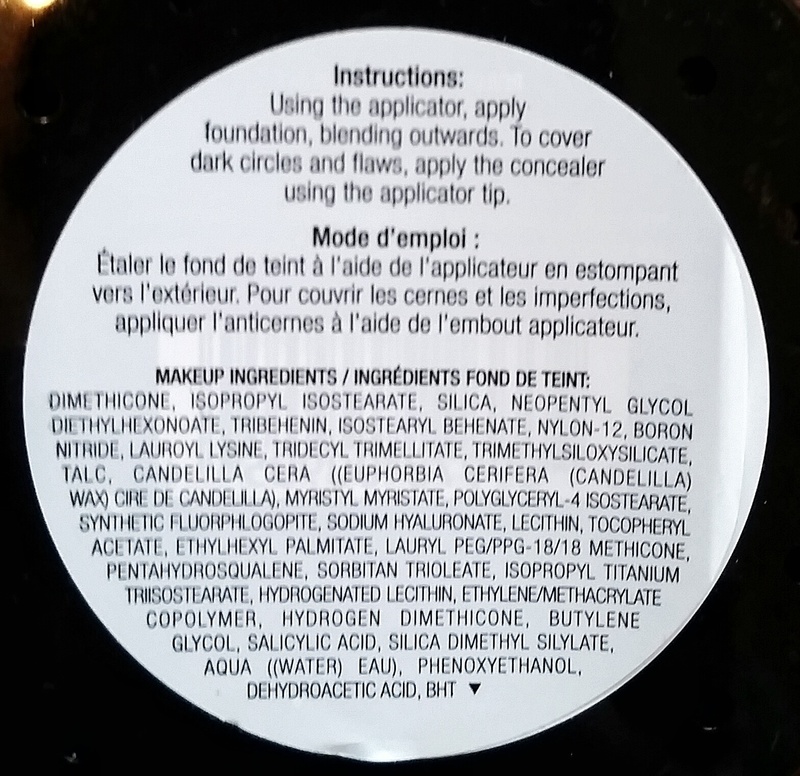 Could you post a pic of the ingredient list ? You're right! The concealer feels completely different from the foundation...I'm not a fan. 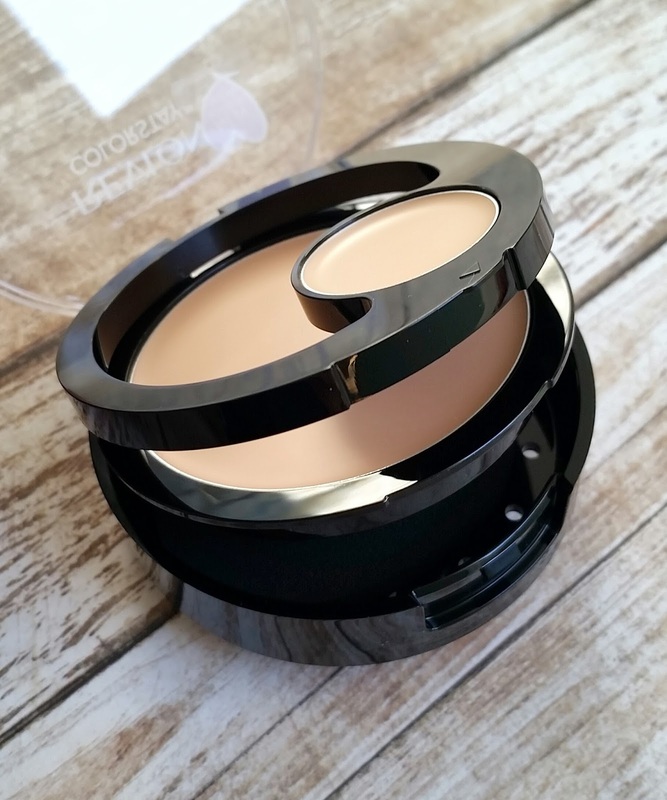 The foundation is super silky and smooth and easy to blend while the concealer feels very thick and cakey. I really wish the foundation worked better on dry skin! Well that's a bummer. I had such high hopes for this. Thanks so much for your (as always) honest review! I saw this and was intrigued, but the Ivory looked really dark in the store. With the store lighting almost all the shades looked alike.